Over the Christmas / New Year break (2017/2018), I will be re-launching Musings of a Geek at the new URL https://michaelwyres.com.au/. The site you are looking at now is a relocated archive of the existing site. Check back in the new year to see if I’m back up and running! Some life changes have meant that I’ve had little or no time to blog over the last couple of years, but that should be changing with the re-launch of the site. While on a brief break from work, I’ve been re-acquainted with just how bad daytime television can be. Just now I was flicking channels, and caught literally the last few seconds of Punjabi News on SBS2. Nerding has been away for a few weeks, but returns today with an ITV special on how television news handles breaking news stories. Being presented by ITV, this documentary has a British flavour, but as a news nerd, I find this fascinating. These are the “where were you when?” moments in life – and I remember many of them myself. 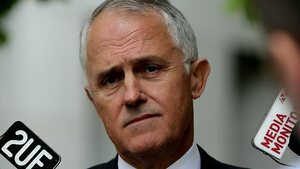 Turnbull Sells Out – When Is The Exorcism? Time for a quick waltz down memory lane. Who else remembers the nonsensical plan by former Communications Minister Stephen Conroy, for the mandatory filtering of all internet connections in Australia, to attempt to block all material online which had been classified “Refused Classification” (RC)? The campaign against it was long and hard, and eventually Conroy shelved it once and for all in November 2012 after several attempts to save face and water it down. Of course, one of the biggest opponents was Malcolm Turnbull, who succeeded Smith as shadow communications spokesperson, and later became Communications Minister in the incoming Coalition government in 2013. Fast forward to 2015, and what has happened? Sorry, what? Who introduced the legislation? Of course – (to keep the context up-to-date) – the original Conroy plan was for the blocking of RC material, which is almost exclusively highly offensive content, and this new filter is about blocking websites that direct people towards the downloading of copyright material. Both illegal, and both a significant issue. The fact that people who still wanted to access RC material would still be able to do it through other means, so you weren’t actually blocking them from anything, and the filter was therefore a waste of time, money, and effort. That once you have a mechanism to block websites – (even for a legitimate purpose) – you create a mechanism whereby other kinds of sites can be blocked by a government who wanted to shut down something controversial, with little or no transparency as towards what is and isn’t blocked – you’ve given them a new toy that might be abused in the future. There were a number of cases where sites that should not have been on the RC list, were on the list, and would have been blocked within Australia. So-called “scope creep” was always the fear – and it happened, perhaps inadvertently, but the point was proven. So, despite the fact that such a filter would would slow down the internet and create a false sense of security, here we are. Will we get scope creep? We don’t know – just as we didn’t know last time around. Turnbull would undoubtedly deny that there would be, but that was one of his arguments at the time. He has given us exactly what he said was a “bad thing”. Five years later Turnbull has sold out his beliefs that this technology is stupid, that it can’t do the job, that it slows down the internet, and introduced the same kind of filter, albeit to tackle a different kind of online content. The filter is back – (just wearing a different colour of lipstick) – and I think we’re owed an exorcism. My questions are – when is the exorcism, and where’s my invite? With recent news that Melbourne is to receive a new underground rail line – (the Melbourne Metro) – to start moving the city towards having a true metro-style train system, I thought it might be interesting to look at what kind of work it takes to build something like that under a living city. This episode of Extreme Engineering from 2011 documents work to expand New York’s underground network for the future. The sacking of SBS reporter Scott McIntyre after a series of controversial tweets with respect to ANZAC Day has certainly stirred up a whirlpool of reaction, and fired up the free-speech debate in Australia. Communications Minister Malcolm Turnbull got involved, making sure that McIntyre’s tweets were seen by his boss, SBS managing director Michael Ebeid. “Mr Turnbull, who has described the comments as “despicable”, drew them to the attention of SBS’s managing director Michael Ebeid. Now, whether or not Turnbull directly requested/required/suggested the sacking of McIntyre isn’t really the point. Personally, I doubt that he did, but his actions did put McIntyre and his employment directly in the firing line of SBS management. “But in his capacity as a reporter employed by SBS he has to comply with and face the consequences of ignoring the SBS social media protocol. Maybe – but ignoring the content of the tweets for just a moment, all McIntyre was doing was expressing his view – who are SBS – (and Turnbull, for that matter) – to decide what is and isn’t an appropriate level of free speech? Is expressing free speech a breach of SBS social media policy? On the evidence – apparently so, and that’s a big concern. 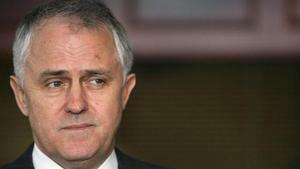 Turnbull’s basic view of the matter was that the tweets were “offensive”. Perhaps they were, perhaps they weren’t – that’s the point of free-speech – not everyone is going to agree with what we say. McIntyre certainly wasn’t rude in his tweets, he just expressed an unpopular opinion. Boohoo – we all confront unpopular opinions every single day of our lives. But how far should a public person, or someone representing a public person go when it comes to addressing public issues? Remember when one of Turnbull’s own staffers said this? So apart from an apparent tickle over the wrist with a metaphorical piece of soggy celery, the staffer wasn’t disciplined, and certainly was not separated from his employment. While the tweets sent by McIntyre were in regard to a much more sensitive subject than that which extracted the definitive expletive from Turnbull’s staffer in 2013, Turnbull has seemingly made sure he was shot down for speaking his mind. If you are Michael Ebeid, when Malcolm Turnbull – (your boss) – rings you to bring some tweets to your attention, he isn’t ringing you to have a laugh about them – he wants action taken. Why else would he do it? Turnbull saying that it wasn’t up to him is nothing more than semantics, something he is very good at. You can express an unpopular view, and lose your job. Or you can tell a constituent to “get fucked” and all is sweet. Whether you agree with the sentiments expressed by McIntyre or not, Turnbull has managed to front up with a double standard that should be explained.